Lok Sabha Elections 2019: Rahul Gandhi's visit is crucial for uniting the party cadre in the state where several senior leaders including two MLAs quit the party recently. Lok Sabha elections 2019: Rahul Gandhi is on a day-long visit to Odisha. 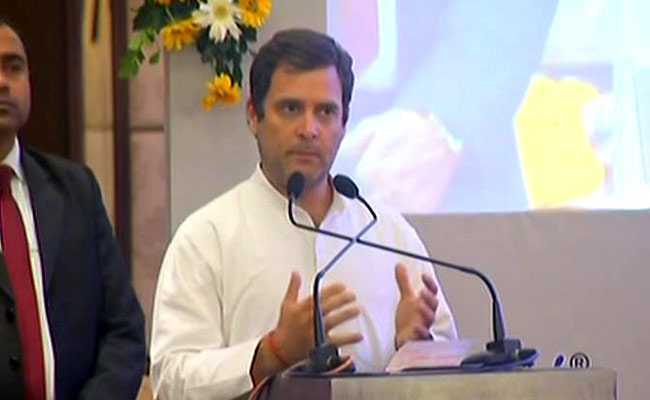 Congress President Rahul Gandhi claimed today that the RSS, the ideological mentor of the BJP, wants to penetrate and control all institutions in the country. "You currently have one institution called the RSS, the mother ship of the BJP, which believes it is the only institution in the country. They want to penetrate into all other institutions and control them," he said. This mindset has led to chaos everywhere in the country, including areas of judiciary and education, he alleged. "We believe India should be run by its 1.2 billion people. One set of people, one ideology should not run the country," he said during an interactive session at 'The Odisha Dialogue' in Odisha's capital Bhubaneswar. Mr Gandhi's visit to Odisha comes close on the heels of Prime Minister Narendra Modi's back-to-back visits to the state. The visit is crucial for uniting the party cadre in the state where several senior leaders including two MLAs quit the party recently, a party leader said. Assembly election would be held along with Lok Sabha polls in Odisha soon. My model is people know more about their state than me and I intend to learn from them. When we run a state, we listen to the people. Single biggest step, and this is where Odisha can teach us, is to bring power to the people. This mindset has led to chaos everywhere in the country, including areas of judiciary and education, he alleged. "We believe India should be run by its 1.2 billion people. One set of people, one ideology should not run the country," he said during an interaction with intellectuals in Bhubaneswar. The monopolization and capture of the education system and healthcare system needs to be challenged. The thinking that for a poor and middle-class person should have to pay lakhs and lakhs of rupees to pay for good quality education. It is the exact same in healthcare. This is not good. You see how IITs were set up in the 1950s. We all talk of the quality of the IITs, but we must remember that these were set up nearly seven decades ago. We need to see what we can do to take this forward. Things like the RTI and Lokpal have been sidelined and ignored. RTI empowers the people of the country. It actually is a weapon of the people, which ensures that there is accountability in the bureaucracy. What has happened in the last five years is devastating to the country. Supreme Court judges are coming out and saying that they are not being allowed to do their job properly. This is unheard of. We believe that India should be run by its 1.2 billion people. We believe that one ideology should not run this country... other ideologies should also be allowed to flourish. 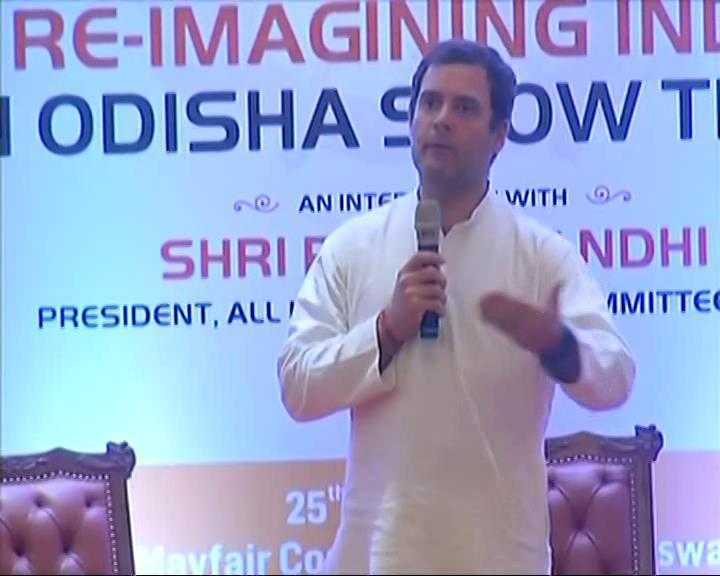 Rahul Gandhi at 'The Odisha Dialogue' in Bhubaneswar. Tune in to our social media channels today to watch Congress President @RahulGandhi live from Odisha. 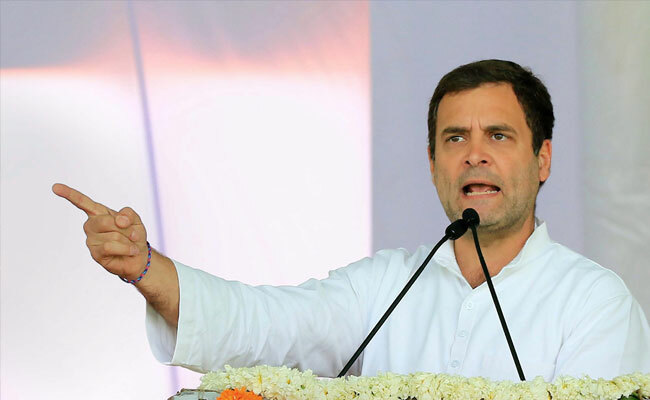 The Congress leader will address a rally, christened as ''Parivartan Sankalp Samavesh'' at Tamando Stadium on the outskirts of Bhubaneswar. Mr Gandhi is also expected to meet intellectuals, employees of the Hindustan Aeronautics Limited (HAL) and the Bharat Sanchar Nigam Limited (BSNL), during his day-long visit to the state. Rahul Gandhi will kickstart the Congress's poll campaign in Odisha today. The visit is crucial for uniting the party cadre in the state where several senior leaders including two MLAs quit the party recently.